Synergy Business Consulting is committed to helping you adhere to regulatory obligations by delivering the best possible documentation service, especially from company / corporate records maintained in Pakistan for your needs. Our team is dedicated to providing the best pathway to detailed information that will assist in your quest to verify client identities and credentials, wherever they are incorporated. Retrieving the information you need via Synergy Business Consulting will help you minimise and mitigate the risk of non-compliance. The impact of non-compliance can be extremely costly in terms both of diminished share values and damaged reputations. We bring ease and simplicity to the process of reviewing, updating and maintaining KYC records. 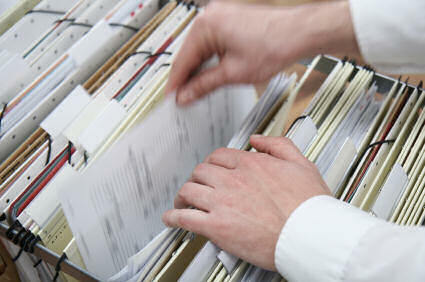 Every document we source and provide is as filed and many can be certified. In addition to this, our thorough working knowledge of the restraints of both ‘know your customer’ (KYC) and anti-money laundering (AML) legislation ensure your total peace-of-mind when accessing our services. Utilising over 200 registries worldwide, Synergy Business Consulting accesses and delivers original filed company documents. Delivery for many jurisdictions is often achieved with in 24 hours. The Synergy Business Consulting team pursue the information you require with tenacity and ingenuity. No task is too minor, no challenge insurmountable. Top investment banks and leading names in the global financial and legal market trust us to provide professional insight and invaluable data. With many years’ experience in company and financial research, the Synergy Business Consulting team are your first choice to gather the bespoke information you need from a multitude of worldwide official sources.